About one month ago, I was driving through my neighborhood, and happened to see someone in her garage, holding up a "naked" undyed skein of yarn. I rolled down my window, and asked her if she was dyeing yarn. It turned out she is the dyer behind In The Deep Hue Sea, and she had just moved to my neighborhood from southern California, and we had a couple of mutual friends among other yarn dyers. I love having a yarn dyer in my neighborhood, and getting so see what she's dyeing from day to day as I pass on my way to pick my kids up from school. When I decided to do my COWLtober patterns this month, I asked her if she had a couple skeins of yarn I could design one more cowl with. 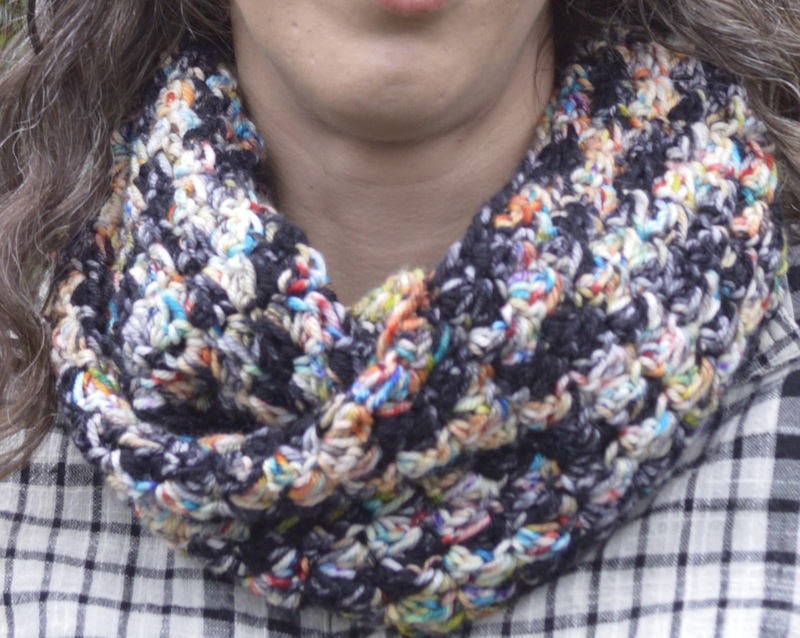 She has very colorful multi-colored yarns, so it was a fun challenge to design the "Collision Cowl" which is my final "Mystery Cowl" for Week 5. You'll get it free tonight, if you sign up for my newsletter. 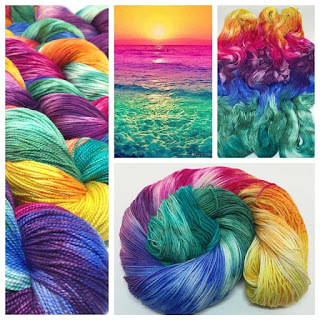 How long have you been dyeing yarn? I have been dyeing yarn for about 8 years, in a business setting for about 2. 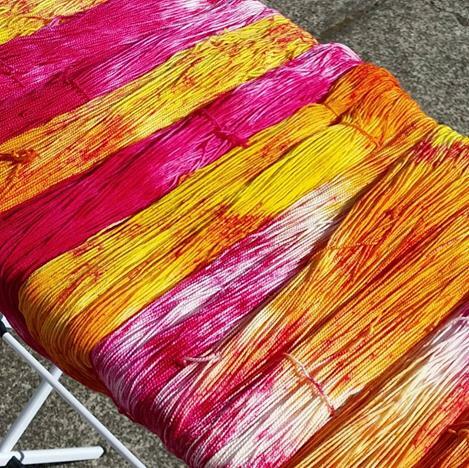 How did you get started dyeing? 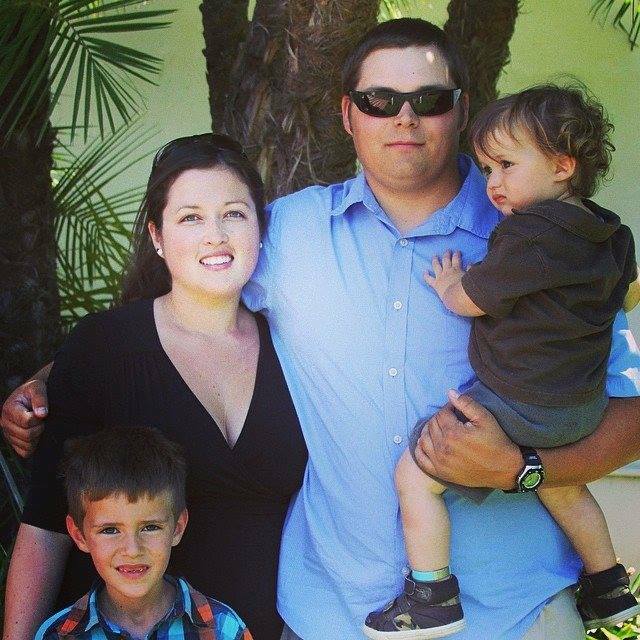 I got started dyeing when my oldest son was little. He was cloth diapered and in the cloth diaper world everyone has their kids in SUPER CUTE knitted and crocheted gear! That is when I decided to learn how to knit. In doing so, I found the wool selection in big box stores were seriously lacking in pretty yarns. I moved on to buying ALL the super awesome indie dyed yarns, and eventually wanted to try it myself! I never looked back after that. I was hooked! What is your professional/education background? I studied music in college. My job before dyeing full time was as a Sr. Marketing Coordinator. 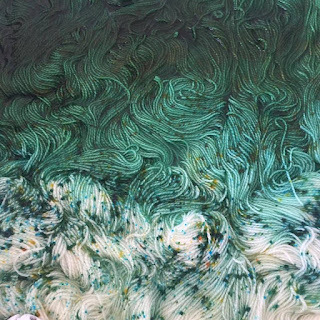 Any special experience with art or science that influences your dyeing? I have always had a love for color. I had an online fabric store for a long time and have based numerous colorways on fabric. My love for fabric had a serious impact on my dyeing in the early days and without my background in fabric, I don’t think I would be where I am as a dyer today. What makes my yarn special or unique? I think the colors and contrast of our yarn is what makes us stick out from other dyers. We are not afraid of leaving undyed bits in our yarn, and feel it gives our yarn depth. We LOVE super saturated colors and speckles are our favorite thing to dye! What is something interesting about my dye process that non-dyers might not know? I think something that would shock most non-dyers is the amount of time it actually takes to dye the yarn from start to finish. It is a multiple day process and missing a step could cause a catastrophe! How do you choose your colors and name your yarns? Choosing colors is always a hard one for me. Sometimes I blindly choose colors and see if I can create something that is pleasing. Sometimes I choose specific colors for an idea I have swirling around in my head. It just depends! As for naming colorways, honestly, a lot of the times I use song lyrics for names of yarn. If I don’t have music playing while dyeing and labeling there is something wrong! Where do you find inspiration? All over! People, pictures, nature. Inspiration is everywhere, you just need to find it. How many colorways do you have? Too many to count! I love making small runs and doing experiments. Although the majority of our colorways are repeatable we tend to lean towards the creative end of the spectrum and dye what’s on our brain that day. Do you create seasonal or special order colors? I do. I LOVE to do customs for this reason, especially photo matching. How many and what types of bases do you use? Right now we have 15 bases that we dye regularly. We love dyeing custom bases though! If it’s not on our list, we can order something that a customer wants. What are your favorite colors? Rainbow!!! And grey. Do you crochet, knit or spin? Which came first? 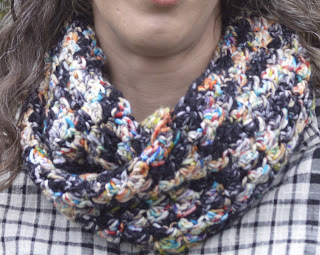 I knit and would love to learn how to crochet! I also have a spinning wheel that really wants me to use it more often! Anything else you would like to share? Yes! I would like to take a minute to introduce the Indie Dyer Collaborative. 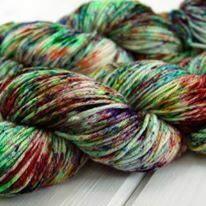 http://www.indiedyed.com/ The Indie Dyer Collaborative is an exceptional group of dyers from around the world. Their mission is to create a network of established Indie Dyers with impeccable products and customer service all while supporting each other’s businesses and lifting each other up. It’s a wonderful group of dyers and you all should definitely check it out! since Erica moved into my neighborhood.